London: Springtime in the new year ought to see fugitive economic offender and chastened liquor baron Vijay Mallya back in a comfortable jail cell in Mumbai. The “long process” of law he spoke of immediately after London’s Westminster Magistrates’ Court ordered his extradition on 10 December is unlikely to turn out to be that long after all. The legal moves left to his legal team to block extradition are few and look feeble. But, first the timetable. The magistrate’s order has been handed over to the Secretary of State’s office. The home secretary has two months to make his decision, a spokesperson for the Home Office told Firstpost. In the meantime, the Home Office would serve notice on Mallya under Section 95 of the Extradition Act of 2003 that covers among other issues a “specialty” clause, which Mallya could invoke in defence. Mallya has four weeks to respond to this. He is expected to argue that assurances from the Indian government cannot be trusted, but it seems near impossible that the secretary of state would uphold such an argument. The secretary of state would take a decision on extradition after receiving a response from Mallya in around mid-January. Mallya would then have another 14 days to appeal the order. He can give the court notice of appeal against the extradition order simultaneously, though this can be heard only after the secretary of state orders extradition past is ruling on the specialty clause, which is only a legal formality. First, the appeals court will consider whether he can be granted leave to appeal and whether he has any legal basis to challenge the Westminster court’s order. Mallya is expected to be granted leave to appeal. He can appeal both the magistrate’s order and the secretary of state’s ruling under Section 95, which can be heard together. A February hearing date is likely, and the appeals court may typically hear arguments for no more than a day – certainly these wouldn’t span a year or more as they did in the Westminster court. The appeals court may announce a decision within a few weeks. Then on he would have only 10 days in which to appeal to the Supreme Court (SC), if the appeals court upholds the magistrate’s order. The SC decides within a few days whether to consider the appeal. The SC is not a third state of review open to any party; it only takes on cases that involve fundamental legal issues of wider public interest. An appeal from Mallya wouldn’t appear a SC matter. The appeals court order, like the first has been, would be sent to the home secretary, who has to physically execute the order. The home secretary is by no means another court sitting in judgment on the court orders; he has no discretion over extradition decisions barring the specialty clauses and others such as a possible death penalty and some peripheral circumstances that don’t apply in Mallya’s case. 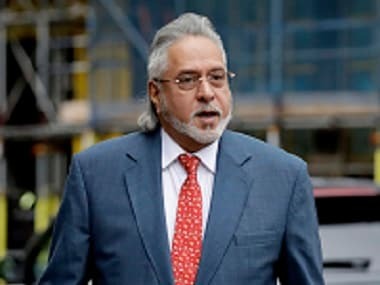 But the home secretary still may have a hand to play as a joker in the legal pack – Mallya could appeal to him to block extradition on grounds of ill health. “I’ve my rights,” Mallya said after the extradition order. To his rights to appeal, and to appeal further in the SC, add this too. But the home secretary still can’t take a unilateral decision to block his extradition on grounds of ill health. He will have to send the case back to the appeals court for a decision. Such a scenario, says Vamos, is “unlikely and far-fetched, but there have been some extreme cases.” This is an option that Mallya would, of course, like to use least, and last. A court would have to rule either that authorities in India would be incapable of looking after his health, or that his health conditions don’t permit him to take the flight back home. That provision now places the Indian government in the unusual position of heading a congregation praying for Mallya to remain in good health. The threshold for evidence remains just as low for the appeals court as it did for the magistrate’s court; it will still be only prima-facie evidence required to satisfy the court to order extradition. The appeals court “is not looking for guilt or innocence, it is not looking to prove anything beyond reasonable doubt,” says Vamos. The question for Mallya is whether on balance of probabilities he has a case to answer. There lies the theoretical possibility of producing new evidence, but “I find it unlikely there could be new evidence,” says Vamos. Mallya’s team will clearly be looking for weak points to pick on and mount a last-ditch bid to stall his extradition. Despite the victory, the Indian government didn’t quite get everything right in their preparation of the case. The magistrate has noted some lapses in her order. “The judge did comment on the state of the evidence, the way it was presented, and that this did not show a high level or clarity and organisation on Indian authorities,” says Vamos. “But she found there was sufficient evidence. “I think they’ll have another go at that, to say there was a jumble of papers. But the heart of the judgment was that there was enough evidence there.” The Westminster judge also said she wasn’t going to give a separate ruling on abuse of the legal process, because she dealt with that in the principal motivation argument. The Mallya team is likely to pick on this as well. Inevitably, says Vamos, the prison conditions argument will be raised again, despite the video evidence presented of near elite detention conditions set up for Mallya in Mumbai’s Arthur Road Jail. “I think he’ll try to suggest that even if you accept that this is the cell he would be held in, and this is what it looks like, the Indian government can’t be trusted to keep their assurance. It’s not the best argument he has but he doesn’t have that many arguments left because I don’t think he can really challenge the findings on the evidence, so he has to try where he can to chip away at the findings made by the Westminster court. Ultimately, it’s a question of whether the court believes it. At the Westminster court they did, and I think the High Court will uphold it as well,” Vamos says. The Westminster court’s decision, Vamos says, stands independent of the political storm in India over Mallya’s extradition. 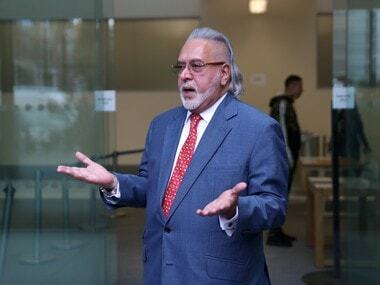 "Indians should understand that if Mr Mallya eventually is extradited from the UK it won’t be because India politicians have been publicly shouting or applying pressure, but because of the careful examination of all the issues in a UK court and because the Indian authorities finally have provided sufficient evidence and assurances to meet the required tests,” he says. The final decision of the court would be for the secretary of state to carry out. If the final order emerging from court procedures is to confirm extradition, the secretary of state would order Mallya to present himself at a particular place at an appointed time to board the plane that would fly the dethroned king of good times back to India.